Use the power of subliminal audio and principles of the law of attraction to attract your dream car into reality. Do you dream of owning a classic car? Perhaps a sports car, or an iconic car which will turn heads? Do you want to use the power of the law of attraction to attract your dream car into your life? Perhaps you have already tried to use the law of attraction but haven't seen any results yet - there still isn't your desired car parked on your drive? 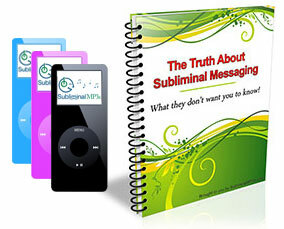 Don't worry, this is a typical experience, 99% of people don't get the result they want with the law of attraction, but if your goal is focused on acquiring your dream car then this subliminal messaging album really can help you. This album works by principles of the law of attraction i.e. by thinking and focusing on something we attract it into our lives - our thoughts become our reality. This has been proven to be the case over and over - with people focusing on career goals, relationships, even attracting money and physical objects. You do this through a combination of conscious thoughts, physical actions, and subconscious alignment - however, this last element, subconscious alignment and belief is often neglected, and this is the reason most people don't see the result they are looking for - i.e. the dream car. However, with the power of subliminal messaging on your side you can make sure your efforts will be much more likely to produce success. This is because within your subconscious mind there are long held negative thoughts and a lack of belief in the ability of your thoughts to produce a physical result in your life like this - and these deep held beliefs will stop your attraction efforts from coming true. Our subliminal messages will enter your mind to destroy these beliefs and really focus you on attracting your dream car into reality. Your entire mind, body, and subconscious mind will all be aligned. There will be no deeper negative thoughts to hold you back and you will see much more success with your manifestation efforts! Your thoughts will be focused to attracting the car you want, and the opportunities to get it will start appearing. When working with the law of attraction and subliminal messages like this some things you may notice are perhaps seeing your dream car while out driving more, noticing it on the TV and in in magazines. You may find an unbelievable offer to buy one, or perhaps you may even win the car! Get started today with this powerful subliminal audio album and bring your dream car into your reality. This album is part of our wider subliminal law of attraction range. It uses subliminal suggestions strictly targeted to attract your dream car to you.